Rising costs of migraine medication, coupled with increasing instances of side effects from drugs are driving many people to seek alternative, more natural, healthier treatments for their migraines. People have been using natural remedies for centuries. Ancient Chinese and Egyptian cultures used natural remedies to treat a wide variety of ailments. Many are still used today for health issues and migraines. These are some of the most popular natural migraine remedies recommended by several leading experts in natural health and wellness. In an effort to provide the most current and effective information on natural migraine remedies, Axon Optics talked to several professionals in various disciplines, including Rebecca Lee, a registered nurse, Ana Reisdorf, nutritionist, Dave Frahm, naturopath. The Food and Drug Administration (FDA) is a United States federal agency that promotes and protects public health by supervising and controlling certain substances including over the counter and prescription drugs as well as dietary supplements. Many universities and research facilities have conducted studies on the numerous herbal and natural treatments for migraines. This has resulted in the identification of several natural migraine remedies that have strong evidence showing they work. However, companies are not allowed to make any claims that the supplements cure or treat a disease or health condition. Natural migraine remedies, including herbs, spices, and essential oils are becoming increasingly popular as more people seek to move away from harsh medications with their unpleasant side effects. Rebecca Lee, a Registered Nurse from New York City and creator of the natural health site, RemediesForMe.com, has a great deal of information for natural migraine prevention. There are several essential oils for migraine prevention and relief that are her favorites. However, when using an essential oil, she recommends using a carrier oil to dilute it. 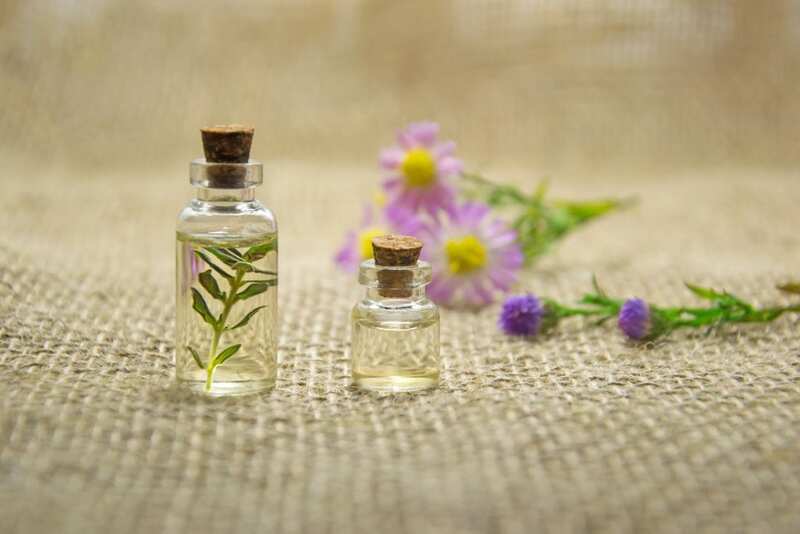 Undiluted essential oils (oils that don’t include a carrier oil) can cause irritation, rashes, and even burns when applied directly to the skin. A carrier oil like Almond, Jojoba, or fractionated coconut oil work very well with the oils and help prevent adverse reactions. Peppermint – Acts as a natural analgesic as well as other uses. Lavender – Acts as an anti-inflammatory and dilates blood vessels. Thyme & Rosemary – Is like a natural NSAID. The carvacrol in the oil causes it to act much like an anti-inflammatory like Advil without any side effects. Lee suggests making a solution of 1 tablespoon carrier oil and 1-4 drops of an essential oil (if you’ve never used essential oils before, start with 1 drop). You can also add 3-6 drops of essential oil in 1 ounce of unscented lotion or use the oil in a foot bath. Ginger tea is another natural migraine remedy that she strongly recommends. Ginger has been used as a medicine for thousands of years. 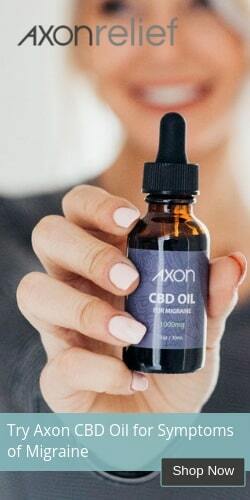 It contains more than 200 powerful, healing substances in its oils giving it the ability to reduce inflammation, calm muscle contractions, and soothe nausea. To make ginger tea, Lee says to use fresh ginger root. Remove the brown skin, slice the root, and boil it with some sliced lemon (with the rind). You can sweeten it with honey or drop in the sliced pear while the tea is brewing for a very nice flavor. Boil it for 30 minutes, then pour into a cup and sip. It is good to inhale the aroma of the tea while sipping for added benefits. Lee also suggests some herbs for migraine. Feverfew and butterbur are two widely used remedies for preventing migraines and calming early stage migraine pain. In fact, a 2004 study showed a 48% reduction in migraine activity after the subject used butterbur for 4 months. They can be taken as supplements. Nutrition plays an integral role in not just good health, but also in how your body functions. When you eat a balanced diet and stay well hydrated, your body functions better. Your organs work better and you are more balanced. When your diet is off, your body will be off too. This can lead to a variety of health issues and migraines is one of them. By the same token, you can have sensitivities to certain foods and they can become migraine triggers. According to Reisdorf, the amount of triggering food you can tolerate is just as important as identifying the food itself and that amount can differ over time. Not knowing what your migraine triggers are or how much you can tolerate can lead to unnecessary attacks and discomfort. There are several foods that are common migraine triggers: citrus fruits, tea, coffee, pork, chocolate, dairy products, nuts, cola, gluten-containing foods, tomatoes, apples, onions, alcohol, food additives (aspartame, natural/artificial flavors, MSG), and cured/processed meats. She also adds that sometimes doctors will dismiss diet as a major component in managing migraines or other medical conditions. It is important to let your doctor know you are planning on doing an elimination diet and let him or her know of any dietary supplements you might be taking. This will allow them to provide the best guidance possible and work with you to prevent migraines. If you aren’t adequately hydrating yourself, you could be causing your headaches. Even low level dehydration can trigger migraines as well as other symptoms. Water is actually a great natural remedy for many health issues. In fact, doctors speculate that most Americans are dehydrated. The reasoning is that we get some of our fluids from the food we eat and many people have diets that are artificial and not rich in water. Natural foods like fresh vegetables and fruit have water and can help hydrate the body. Many people drink sodas and other drinks that are not good hydrating fluids. Many are high in sodium and sugars which can rob you of the fluids you need. 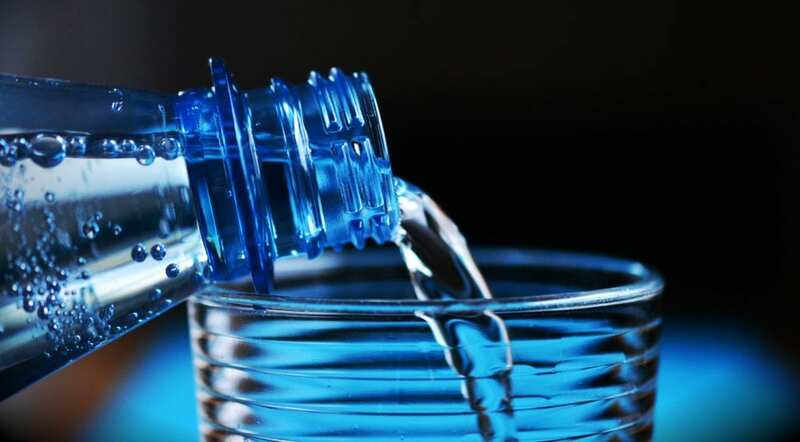 According to some doctors’ estimates, as much as 75% of the United States population does not get adequate fluids and is experiencing, at the least, low level dehydration. You have probably heard that you should have eight glasses of eight ounces of water a day. That has been the standard for years, but doctors are now rethinking this rule. Experts now say that generally, men need around 15.5 cups or 3.7 liters of fluid a day, while women need around 11.5 cups or 2.7 liters. However, there are other factors to consider that could increase these amounts depending on the person. Your overall health, if you are exercising, if you are breastfeeding, and your environment (hot or dry weather, for example) can all play a role in how much water you need a day. You are thirsty. If you are thirsty, you’re dehydrated. Granted, it may be low level dehydration, but it is your body’s way of signaling you that it is deprived of fluid. Other, more serious symptoms are soon to follow. Your mouth is dry, pasty, or sticky. This is usually accompanied by feeling thirsty. It just means you need to hydrate. Bad breath can also be a clue. You are cranky, confused, or disoriented. You don’t have to be super dehydrated to impact your mood. Mild dehydration can make you irritable and confused. Your brain needs water to function properly. You feel fatigued. When you are dehydrated, your body begins trying to conserve its resources. Everything slows down and you begin to feel fatigued. That tiredness is actually your body’s way of saving what water it does have so that it can make the most of it. You have a headache. Dehydration can cause you to have a headache and even low-level dehydration is a common trigger for migraines. It can also cause symptoms that are similar to migraine aura, like nausea, dizziness, and weakness. If you experience these symptoms you may be more dehydrated than you realized and could be leading to a more serious condition like heat exhaustion. You are getting muscle cramps. If you get muscle cramps, particularly in your legs, after working out, walking, or at night, it could be a sign of dehydration and it could signify that it is more than just low-level. Don’t confuse dehydration with an overworked muscle though. Cramps from dehydration tend to affect a larger area where the area affected for an overworked muscle is fairly small. Your urine is dark. This is a fairly easy way to tell if you are properly hydrated. Normally, your urine should be light yellow or straw colored. If it is dark, it means that you are dehydrated. You may also notice blood in your urine which can indicate several health issues, dehydration among them. As a rule of thumb, the darker your urine, the more dehydrated you are, although it is worth noting that certain foods can color your urine. B vitamins are a common culprit. Your skin is dry, flaky, or shriveled. When your skin is well hydrated, it will have elasticity and a doughy feel to it. When you pinch the skin on the back of the hand, it will snap right back, but if you are dehydrated, it will remain pinched or takes a while to return to normal. You have food cravings, especially sweets. Dehydration can impact organ function, especially for organs that use water. Your liver uses water to release elements of your energy stores, like stored glucose (glycogen). When it does not have enough water to break down the glycogen so that you can get fuel from the glucose released into your blood stream, your body begins to crave foods to compensate. Sweets are the most common. If you stop sweating or you get fever and chills, these are serious signs of dehydration and you should call your doctor. It should also be noted that if you are hungry you may just need a glass of water. Sometimes the body will confuse the sensation of hunger with the feeling of thirst, making you feel hungry when you are actually in need of hydration. What we put into our bodies plays a large part in what we get out – in how it functions. Naturopath and nutritionist, Dave Frahm, of Frahm Health Solutions, says that migraines are a common result of over-taxed adrenals (adrenal glands), a common condition in today’s culture of high stress, poor diets, and unhealthy lifestyle choices. In order to support the adrenals, the body requires the B vitamins, particularly B5, vitamin C, and progesterone. Turmeric is a spice that Frahm suggest for migraine sufferers. It has been used for centuries as an anti-inflammatory and pain management remedy for arthritis and other conditions. Curcumin, a derivative of turmeric has several studies that show it to be very effective in helping to relieve pain. Proper nutrition is also integral in combating migraines. There are very specific things that the body needs in order to function property. When something is amiss, conditions can develop -including migraines. The best diet is fresh and lean with as few processed foods as possible. There are certain foods that can increase inflammation in the body and certain foods that can fight it. They are called anti-inflammatory foods. Refined carbs such as pastries, white bread, etc. Fried foods like French fries, deep fried fish, etc. Several studies show that a plant based diet helps to reduce various types of pain, including osteoarthritis. Some of these foods may be migraine triggers; it varies from person to person. Keep a migraine diary and avoid any foods that you identify as triggers. However, if you find certain foods to be effective in preventing migraines make sure you include them in your diet on a regular basis.. There is a powerful connection between sleep and migraines, albeit a complex one. Poor sleep quality or sleep deprivation can be a trigger while good, restful sleep can prevent or even stop a migraine. If you are having migraines, especially if you tend to wake up with a migraine, it could be due to your sleep habits. Abnormalities in the rapid eye movement (REM) stage of sleep can contribute to migraines as well as other conditions like post-traumatic stress disorder (PTSD), anxiety, and depression. 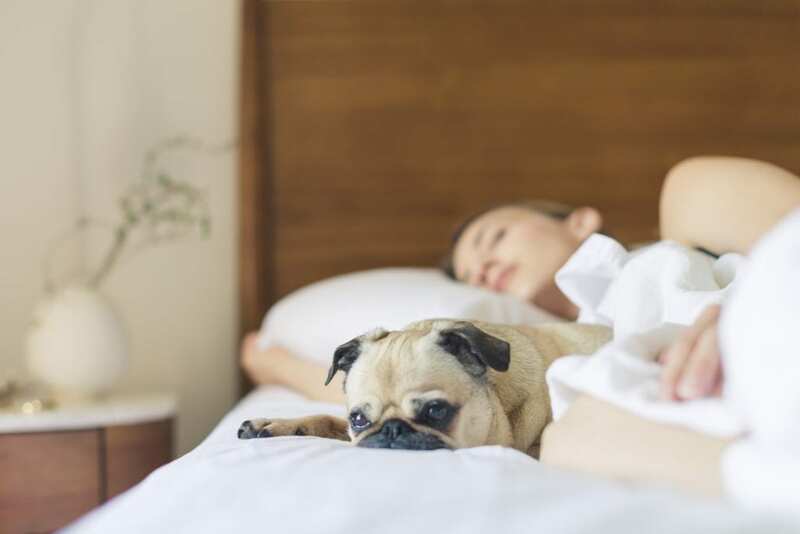 Interestingly, there is also a connection between fibromyalgia and poor sleep quality – and anywhere from 50% to 75% of people with the condition also report getting migraines. The average person needs between 7 and 9 hours of sleep a night. If you have a hard time falling asleep or staying asleep, or if you don’t sleep well, tossing and turning, it could be a trigger for your migraines. Millions of Americans report not getting enough sleep or not getting quality, restorative sleep. This impairs daytime function, physical wellness, mood, mental health, and cognitive abilities. It is a real problem that is not exclusive to migraineurs. Waking up in the morning with a headache. Difficulty maintaining harmony in relationships with friends and family. Having two or more of these symptoms could indicate a sleep problem and you should talk to your doctor. Your sleep habits should be noted in your migraine journal. Turn off your laptop, TV, and other devices at least 30 minutes (an hour is best) before you go to bed. Lower the light when you are getting ready for bed. Create a comfortable sleep environment with lowered lights, cooler temperature, and low noise in your bedroom. Put some purified water in a small spray bottle and add a few drops of lavender essential oil. Use it to spritz your sheets when you make your bed in the morning. Avoid heavy meals in the evening. Avoid caffeine after noon, or, better, after 10 am – or best, eliminate it altogether. Get regular exercise, but try to do it in the morning or afternoon. Avoid doing any vigorous exercise before bedtime. Stay well hydrated, but try not to drink right before bed otherwise you will get up during the night to make bathroom visits. 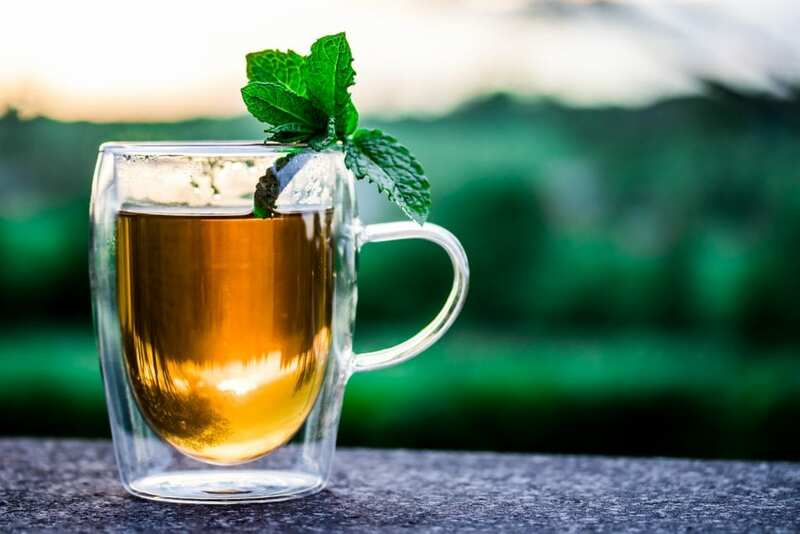 You can also try herbal teas to help you relax and fall asleep. Chamomile tea is very relaxing and a great sleep inducer. However, if you need something a little stronger, passionflower tea works very well. There are some natural sleep remedies that contain poppy, but it can leave some people groggy in the morning. Try it on a weekend or on a day you don’t have to get up early to see how it affects you. Sleep is important. When you get good sleep you feel better, function better, and you’re happier. Plus, it could help minimize or prevent your migraines. Make sleep a priority. There are many alternative migraine treatments out there but not all of them are effective. These treatments are not the standard medical route, but many have scientific studies to back up their effectiveness for helping with migraine pain and incidence. Chiropractic – This form of treatment is typically thought to be for back pain, but the American Chiropractic Association, as well as several studies, show that chiropractic care is very effective in treating migraine headaches. Chiropractic for migraines takes a whole-body wellness approach which includes lifestyle and nutritional advice in addition to spinal adjustments. Acupressure Massage – This ancient Eastern medicine therapy is still a popular treatment for a variety of conditions. Rebecca Lee recommends it for migraine pain relief. It does this by focusing on the body’s pressure points. Squeeze and massage the webbed skin between your first and second fingers. Do this for five minutes, then switch to the other hand. This can also be done on the feed, temples, and the base of the skull. Precision tinted lenses – Bright lights can be very painful for people who are sensitive to light. Light sensitivity can lead to headaches and migraines. Glasses with precision tinted lenses have been proven to be effective in reducing the glare and relieving light sensitivity in most people. Less glare means less light sensitivity flare up and that is good news for people who have light sensitive migraines. Ear plugs – Changes in barometric pressure can wreak havoc on a migraineur. MigraineX are drug-free preventative ear plugs (the first of their kind) created specifically for weather-related migraines. They claim that the product helps reduce or completely eliminate symptoms of weather-induced headaches. There is also an accompanying app, the MigraineX app. It will alert users of upcoming or anticipated barometric pressure changes in a given area up to 7 days in advance – therefore allowing them to be proactive about stopping migraine and sinus headaches before they even start. Cannabis – Study after study shows that cannabis is an effective treatment for pain. This study, published in the European Academy of Neurology (EAN), specifically looked at the effectiveness of cannabis for migraines. The results were very positive. Migraine pain was indeed relieved to the point that it has inspired researchers to look at the possibility of replacing opioids, at least for some conditions, as a safer, non-addictive alternative migraine medication. Natural migraine remedies are not for everyone. 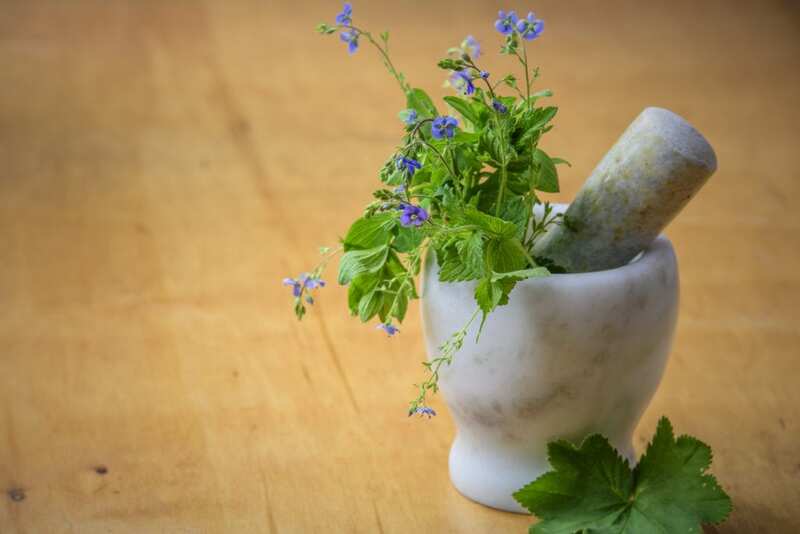 However, even if you choose a more traditional treatment plan such as migraine medications, you can still benefit from incorporating some of these natural therapies into your own lifestyle. Even small changes in the way you eat or how much sleep you get can make a dramatic improvement in the frequency and intensity of your migraines. Talk to your doctor about some lifestyle and dietary changes you can make – they could make a significant difference in your life. Bigal, M E, and R J Hargreaves. “Why Does Sleep Stop Migraine?” Current Pain and Headache Reports., U.S. National Library of Medicine, Oct. 2013, www.ncbi.nlm.nih.gov/pubmed/24037443. “Chronic Dehydration More Common Than You Think.” CBS Miami, 2 July 2013, miami.cbslocal.com/2013/07/02/chronic-dehydration-more-common-than-you-think/. DiSalvo, David. “Marijuana Treats Migraine Pain Better Than Prescription Medication, Study Finds.” Forbes, Forbes Magazine, 30 June 2017, www.forbes.com/sites/daviddisalvo/2017/06/29/marijuana-treats-migraine-pain-better-than-prescription-medication-study-finds/#b7a43fa3700f. “Even Mild Dehydration Can Alter Mood.” UConn Today, 24 Feb. 2012, today.uconn.edu/2012/02/even-mild-dehydration-can-alter-mood/. “Migraine.” Mayo Clinic, Mayo Foundation for Medical Education and Research, 26 Apr. 2017, www.mayoclinic.org/diseases-conditions/migraine-headache/diagnosis-treatment/dxc-20202471. Optics, Axon. “Marijuana and Migraines: Who Knew?” Axon Optics, 7 Sept. 2016, www.axonoptics.com/2016/08/marijuana-and-migraines-who-knew. Popkin, Barry M., et al. “Water, Hydration and Health.” Nutrition Reviews, U.S. National Library of Medicine, Aug. 2010, www.ncbi.nlm.nih.gov/pmc/articles/PMC2908954/. Publishing, Harvard Health. 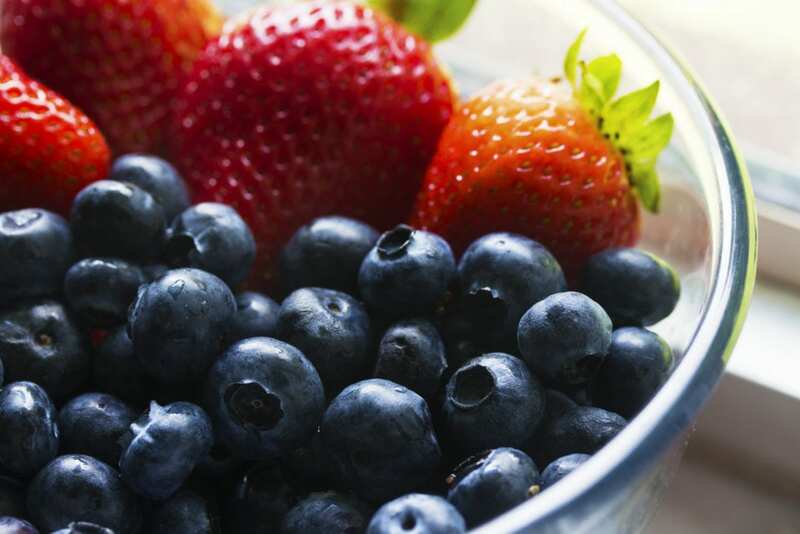 “Foods That Fight Inflammation.” Harvard Health, www.health.harvard.edu/staying-healthy/foods-that-fight-inflammation. Swanson, M.D. Jerry W. “Migraines: Are They Triggered by Weather Changes?” Mayo Clinic, Mayo Foundation for Medical Education and Research, 21 Mar. 2015, www.mayoclinic.org/diseases-conditions/migraine-headache/expert-answers/migraine-headache/faq-20058505. “Water: How Much Should You Drink Every Day?” Mayo Clinic, Mayo Foundation for Medical Education and Research, 6 Sept. 2017, www.mayoclinic.org/healthy-lifestyle/nutrition-and-healthy-eating/in-depth/water/art-20044256. “What We Do.” U S Food and Drug Administration Home Page, www.fda.gov/AboutFDA/WhatWeDo/default.htm. One well known cause of migraines is salicylates which occur naturally in lots of food and products. Your anti-inflam food list is high in sals. Also fish oil and peppermint are all dodgey for anyone with this intolerance.